For your viewing pleasure, a bunch of great new customer photos have come in during the last few weeks. 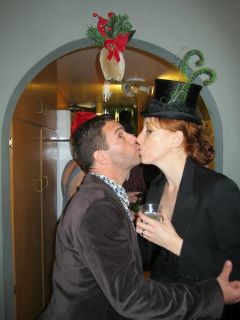 Here's Stephanie having a holiday smooch under the misteltoe in her custom Marlene midi top hat. Trimmed with silk veiling and curled peacock swords to match the saucy green dress she wore under a vintage tuxedo tailcoat. I love to see photos of Stephanie, it always seems to be a fun time wherever she is. 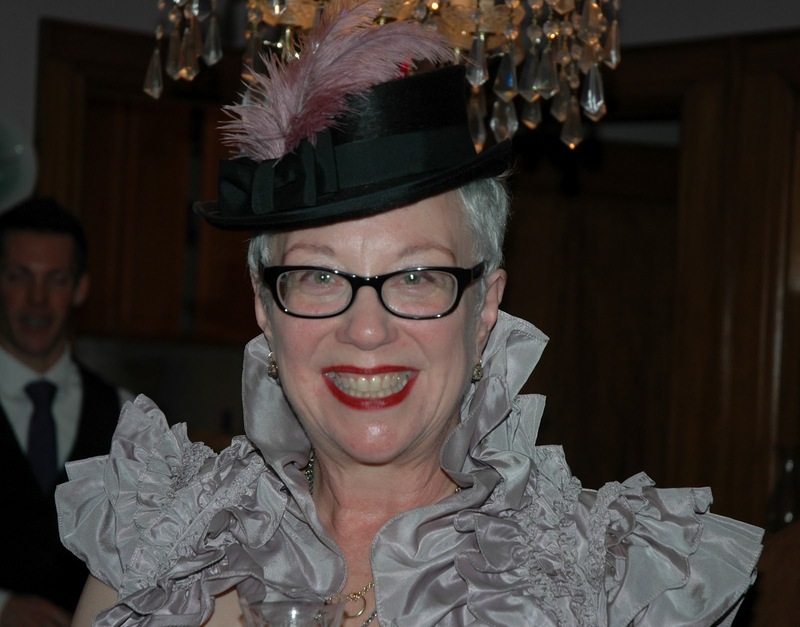 I was so honored to make this Yvette top hat for Gail, another of my faithful regular customers, to wear at her wedding. For trim, we chose pale lavender ostrich floss feathers, to match the shirred silk shrug she wore over her dress. 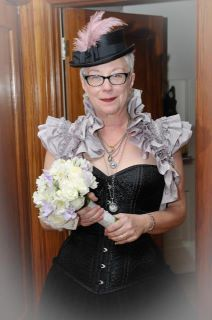 She's also wearing a custom corset by Dark Garden Corsetry. She looks so lovely and happy! Here's steampunk/romance/Victorian paranormal fantasy author Natalie Zaman (center) wearing her new Viola midi top hat with fellow authors Leanna Renee Hieber and Cate Hart at this year's 'Gaslamp Gathering', the Romantic Times Booklover's Convention in Chicago. Clearly, a good time was had by all! Thanks to everybody who sends in customer photos, they're great to see and fun to share, keep 'em coming. Hats like these and more are available now through my Etsy shop, or as custom orders, just contact me for more info.